Young Jedis, it's time to play! 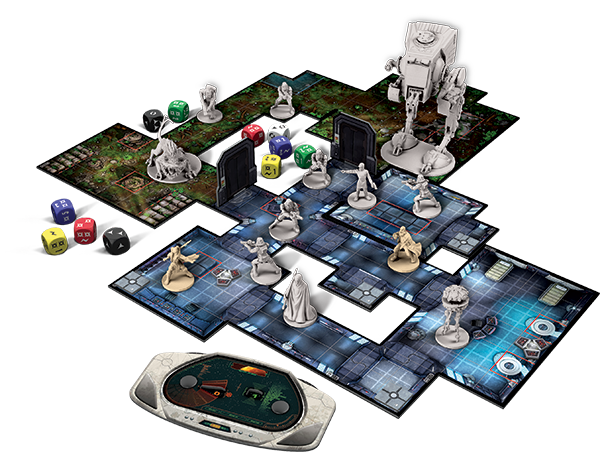 Imperial Assault is a strategy board game of tactical combat and missions (for two to five players). It puts you in the midst of the Galactic Civil War between the Rebel Alliance and the Galactic Empire after the destruction of the Death Star over Yavin 4 with two separate game experiences. The campaign game pits the limitless troops and resources of the Galactic Empire against a crack team of elite Rebel operatives as they strive to break the Empire's hold on the galaxy, while the skirmish game invites you and a friend to muster strike teams and battle head-to-head over conflicting objectives. 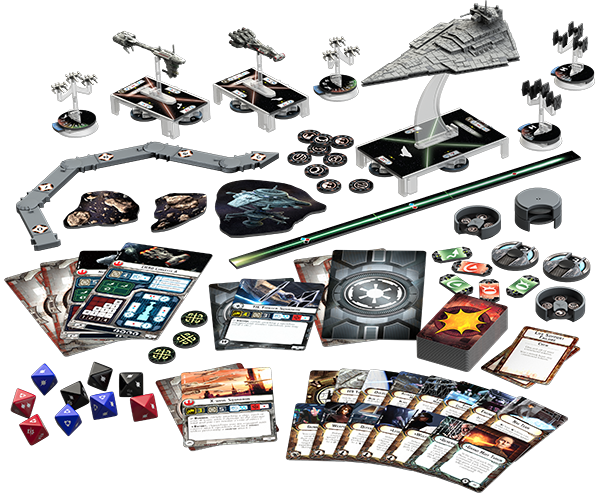 A two-player miniatures game of tactical fleet battles in the star wars universe with three pre-painted capital ship miniatures, ten unpainted fighter squadrons, and more than 130 cards and tokens (that's just the standard, core game). You play the role of the fleet admiral, serving with either the Imperial Navy or Rebel Alliance, reminiscing the first scene in A New Hope. You need to assemble your fleet and engage the enemy. You maneuver your capital ships across the battlefield, engaging in constant combats with starfighters. It's war and you are required to issue the correct tactical commands, brigning you victory in the battles. 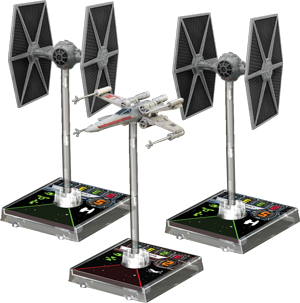 In a tactical ship-to-ship combat game X-Wing Miniatures, you assume the role of squad leader and command a group of merciless Imperial or daring Rebel pilots in furious ship-to-ship space combat (much like in Armada). The game comes complete with stunningly detailed and painted miniatures, recreating exciting space battles (small engagements of only a couple of craft as well as large conflicts where multiple squadrons clash). You need to select and equip your ships, then pick your crew, plan your attack, and complete your mission. Kyle Hagey believes that the protagonists of the legendary sci-fi saga - known to Earthlings as Star Wars - deserve a mini break. So, he set them off on a... well, a Sound of music kind of vacation.